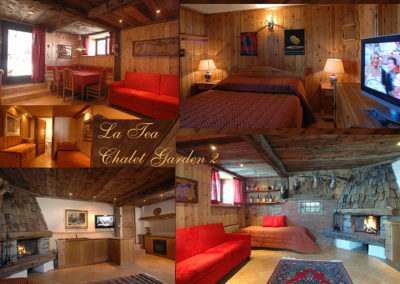 The newly built Chalet Garden have comfortable apartments for 4-6-8-9 persons, they are in an exceptional position both for those who ski, 100 meters from the Mottolino slopes and directly on the Nordic ski slopes. For those looking for a quiet area, just 5 minutes walk from the town center, directly on the pedestrian promenade, 50 meters from the free bus stop. 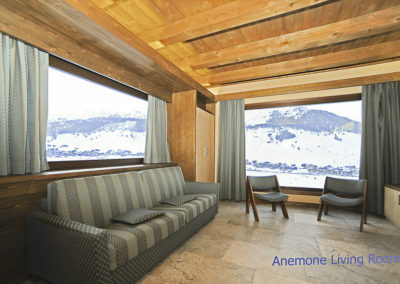 The well-kept furnishings, where wood and stone make the environment very warm, enhanced by the large windows overlooking the magnificent valley of Livigno with a 180 ° panorama. Each apartment has a fully equipped kitchen, dishwasher, living room with TV LCD, bathrooms and rooms with linens, TV in every room, wifi internet, reserved parking. In summer, there are deckchairs for the solarium and a grill / barbecue. for lovers of Mtb (bike park at 100 meters) sheltered for bikes with the possibility of equipment for washing. In winter, it is possible to reserve the sauna upon reservation. 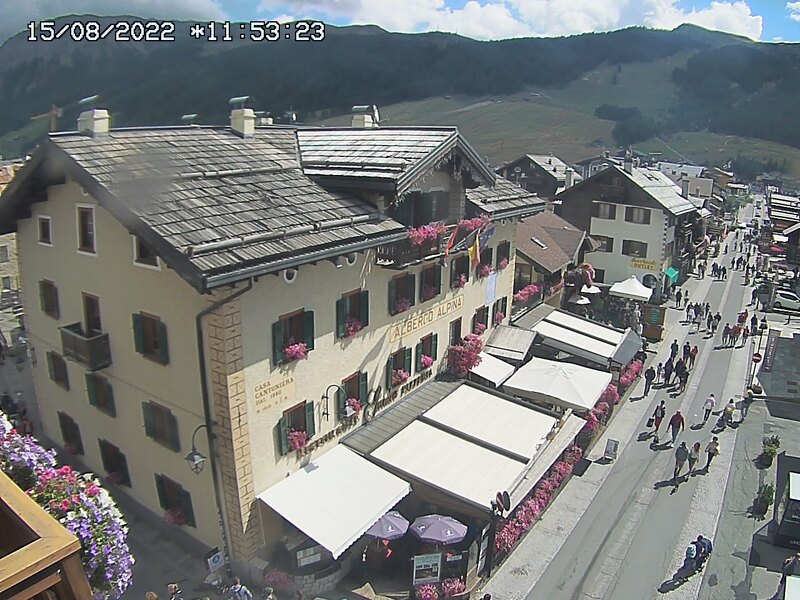 Check-in will take place at the Alpina hotel, where you can use the Pizzeria Garden restaurant to have lunch or dinner with a 15% discount reserved for chalet guests or take-away service. We are also affiliated with Aquagranda, with ski school, ski, snowboard and MTB rental, ski pass office and we also offer a free ski pass in fixed periods. The prices of our apartments are understood as inclusive. 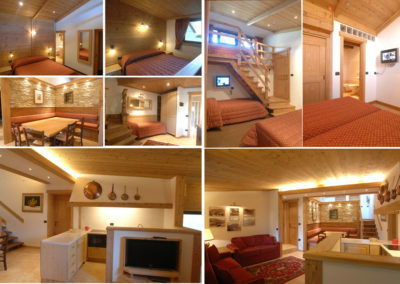 Ski room with private lockers with electronic closure and boot warmer. Common outdoor areas equipped with: deckchairs, large wooden tables, barbecue, soapstone, and Finnish sauna on request with a little extra. 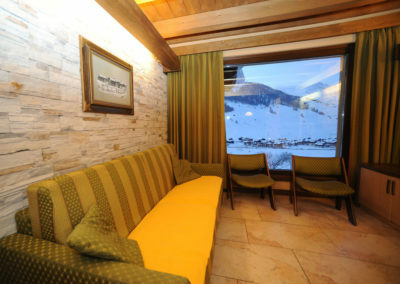 Conventioned ski school with possibility to reserve lessons and ski instructors directly at the hotel on the day of arrival. Aquagranda partner with 10% discount on admission. 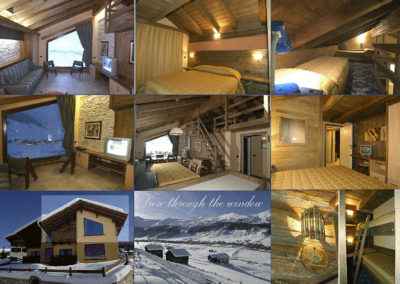 Ski / Mtb rental and conventioned equipment at 200 mt. Taxis and connections to / from the airport or railway can be booked from the hotel, also with buses up to 9 seats. 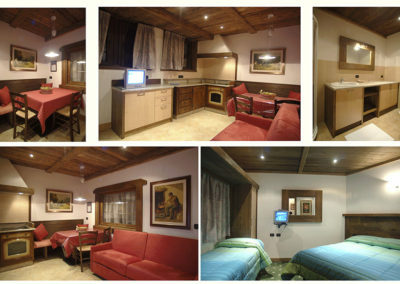 CHECK AVAILABILITY ROOMS, RATES AND ONLINE RESERVATIONS.